Credits: The models and skins are from a free 3d model website. Bugs: The eggs float on water. 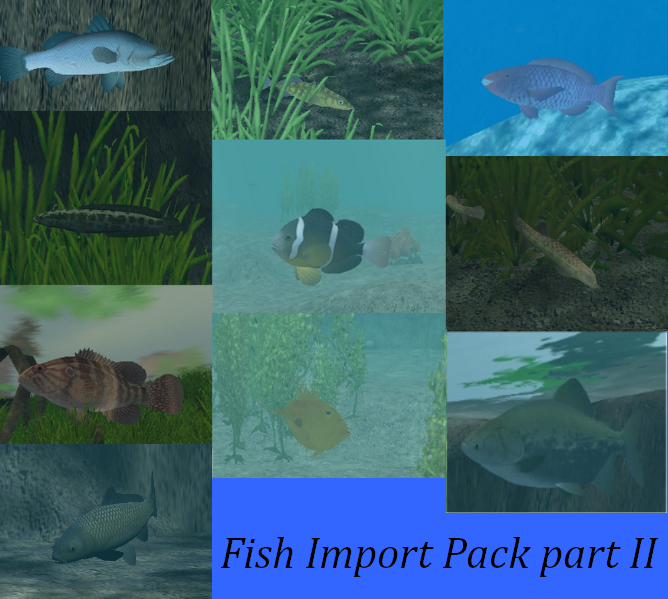 Description: This pack contains 10 fish - Barramundi, Japanese Perch, John Dory, Koi, Piraptinga, Red Parrotfish, Snakehead, Three Spined Stickleback, Weather Loach and the Yellowtail Clownfish. An updated download link has been added.